Why do we assume a mind is just one single mind, the hallucinating woman in my new fiction Island of the Mad says as her symptoms from fatal familial insomnia (a genetic illness) increase. As her hallucinations intensify, she experiences herself at times as Dostoevsky, whose life and work she knows well, and at other times as the epileptic Prince Myshkin from Dostoevsky’s The Idiot. It is a curious fact that often those who live isolate lives feel this multiplicity of voices most strongly. I am thinking of Mikhail Bakhtin, who lived for decades in internal political exile in Russia and was often bedridden with osteomyelitis—under these conditions he worked and re-worked his ideas concerning the polyphonic novel and the self as inseparable from its ongoing dialogues and contact with others. 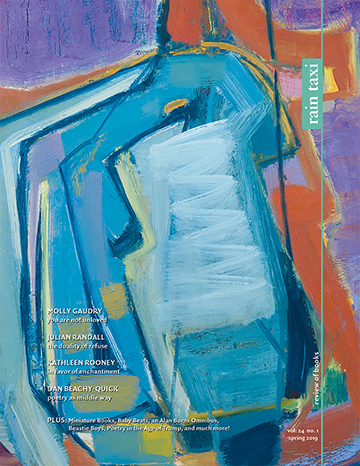 For Bakhtin the self is shape-shifting, unfinalized, a dynamic entity taking on the colorings of ever-changing contexts—others’ spoken voices, one’s own responsive listening, thoughts, actions. Porous, unstable, partly mute, resistant to categories or labels —how is a self identifiable, distinct, and at the same time an accumulation of varying angles, the felt reality of others? 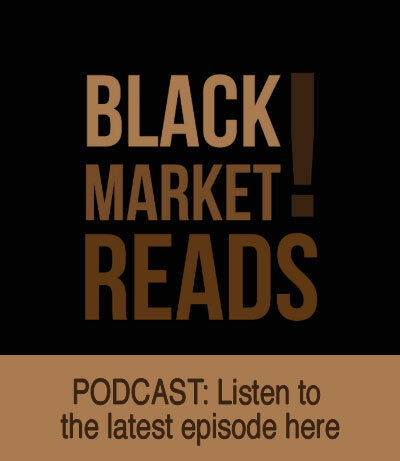 The following interview was conducted in November 2016 in Geneva, St. Petersburg, Moscow, London, New York City, and several undisclosed locations. A. But I am not confined to my own identity. I am still here still thinking still existing. Q. Why this fictionalizing? Why not write directly out of your own experiences? A. I had lived in black dirt and silence for so long. But when after all that time I was finally able to speak again I spoke of myself . . . I was looking at you, thinking only of you, yet when I opened my mouth I said ‘myself.’ And even if I hadn’t spoken of you, there still would have been so many things more interesting and important to speak of than myself—conductivity, electricity, the discoveries of continents and planets, the Arctic, silkworms . . . why didn’t I speak of them? I told myself then I would speak to you of Venice, of the suffering that happened here, that I would bring you anything but my own narrowness. You were alone . . . I would bring my facts to you, and those facts would build a world that didn’t hurt you. I didn’t know what else I could offer, what else to do. Q. What do you think about when you look at the night sky? A. The scientists say there is no such thing as empty space but Dark Energy Dark Matter, our galaxy our sun and all we can observe the barest hint of what exists. . . .
Q. What are you thinking about now? A. In my mind’s eye an astronaut is spacewalking outside the capsule. It is summer, I am 8 or 9, I have been picturing him for weeks. His suit is equipped with a new PLSS device which enables him to walk without a tether. Even mission control can’t reach him . . . Space is noisier than he thought, and smells of gunpowder, burning metal. A. One day the stars will go out and there will be no life-bearing planets. Q. Do you always have such dark thoughts? Q. But you must sometimes think things that are less dark? Q. Do you worry that what you write is too fantastical, exaggerated, dream-like? A. Turgenev worried that one of his ghost stories was too fantastical, but Dostoevsky countered that in fact it was not fantastical enough. That the ordinary is stranger than anything if only we could see it. Q. Can you give an example of something real that also seems fantastical? A. Today I am remembering the Ospedale degli Incurabli in the plague year of 1575. What is it now? An empty lot? A music school? But in that year it was inhabited by the ill who weren’t sent to lazarettos. And it was there that one day a man with a horrible pestilential mange called out in anguish to one of the young fathers. These were the years, of course, when each living being was afraid to touch or draw close to another. The young father was terrified but scratched the patient’s back as was required, then violently convulsed with nausea. But even then he didn’t draw his hand away. This man is suffering he said to himself (he wrote this down later), I must not shun him, what would I be if I shunned him? Then suddenly, almost without thinking, he lifted his pus-covered finger from the man’s oozing back and placed it in his mouth and sucked it. And what of my own mouth? What of yours? I wonder what you think of what he did. What does it mean to truly feel the living flesh of another, the presence of another? I ask myself this often. Q. I know from other interviews I’ve seen that you’re quite interested in Dostoevsky. A. It seems he finds the many wordless, invisible things and speaks to them and in their own way they speak back. Q. Dostoevsky believed in the radical, almost fantastical nature of fact. His novels are certainly full of extremity. Was this true of his own life as well? A. One morning he was suddenly taken to Semyonov Square where he was given a white death shirt to put on. He was sixth in line for execution, standing in the second row, with only minutes left to live when the announcement came that the Czar had decided to spare the prisoners’ lives. Apparently this had been planned all along. Q. You’ve commented elsewhere that Dostoevsky suffered from a form of epilepsy with “ecstatic seizures” now also known as “Dostoevsky syndrome.” You’ve also noted that The Idiot itself can be seen as one long seizure or a series of seizures. The ecstasy, as I understand it, would come in the few seconds before the actual convulsion. What made those seconds ecstatic? A. Suddenly among the sadness, spiritual darkness and depression, his brain seemed to catch fire . . . His mind and heart were flooded with a dazzling light. All his agitation, doubts, worries, seemed composed in a twinkling, culminating in a great calm and understanding. Q. Can you give an example of a few sentences you prize from Dostoevsky’s The Idiot? A. . . . it’s sometimes even good to be ridiculous, if not better. We can the sooner forgive each other, the sooner humble ourselves; we can’t understand everything at once . . . And if we understand too quickly, we may not understand well. Q. You have written one book centered around Mary Shelley’s “monster,” and another that involves itself, in part, with Dostoevsky’s Prince Myshkin. On the surface, at least, they seem so different. Do these two have anything in common? Q. Is there anything else you would like to add that I haven’t asked you? Q. Are you sure there’s nothing else you would like to add? 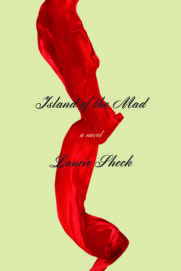 Laurie Sheck’s most recent book is Island of the Mad (Counterpoint, $26). 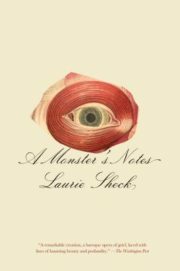 She is also the author of A Monster’s Notes (Knopf, 2009), a re-imagining of Mary Shelley’s Frankenstein, which was selected by Entertainment Weekly as one of the 10 Best Fictions of the Year and long-listed for the Dublin Impac International Fiction Prize. 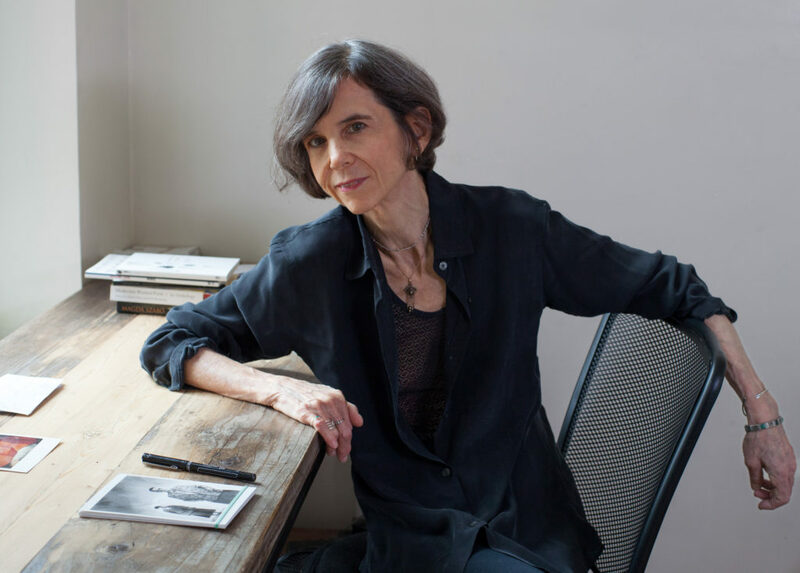 A Pulitzer Prize finalist in poetry for The Willow Grove (Knopf, 1996), her work has appeared in numerous publications including The New Yorker, The New York Times, The Paris Review, and The Nation. She has taught at Princeton, CUNY, and Rutgers, and is currently a member of the MFA faculty at the New School. She lives in New York City. This entry was posted in Uncategorized and tagged Winter 2016 on January 23, 2017 by Kelly.